HOUSTON (KTRK) -- It's what we are known for here in Texas and it's apparently what everyone wants, brisket. Kurt Craig, owner of family-run Luling's BBQ on Richmond Avenue said, "This is the biggest thing that we're going to sell. 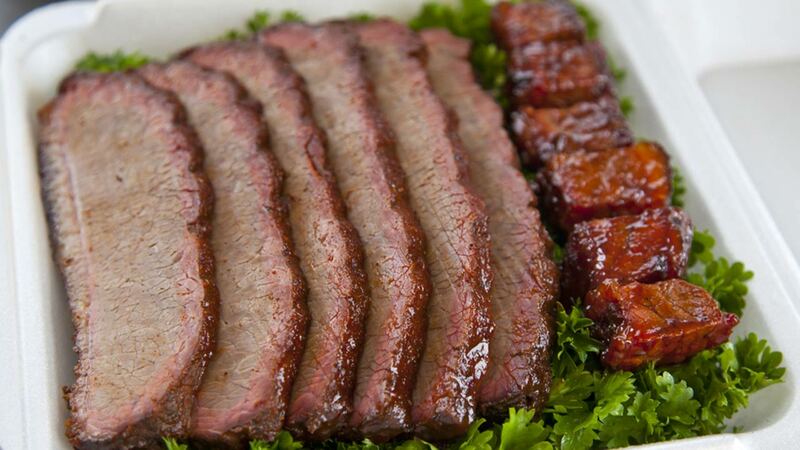 Everybody wants brisket, everybody." At Luling, the lunch crowd comes constantly for the big seller. Diner Chase Zalman says he eats brisket because it tastes better. Brisket is still king, even though Craig says he had to raise his price on beef products twice this year. It's in response to the cost of brisket overall. The price of brisket increased from $2.14 to $3.45 a pound last year. Craig says he also saw brisket priced at $3.70 per pound. Craig also said, "It makes you think you got to go up on your prices." We reached out to several local butchers for this story. Many didn't want to talk on camera because they didn't want to be associated with higher prices. They say higher prices are because of the recent drought, ranchers thinned their herds. Ranchers still have not recovered. "You can only take so much before cannot go up on your prices or try to talk people into chicken or pork or something that is not as expensive, but they come for the brisket. That's kind of tough in Texas. It is. That's a hard sell," Craig said.